Deactivation reason "The content is not suitable for our broad Royalty Free license; the reason given was: This content is not suitable for the Royalty Free Licensing model. Please see: http://wiki.gettyimages.com/castles-in-europe/"
Besides that we have Freedom of Panorama in Germany I can't spot the castle in the image. Can you? Same here, 3 files from the English Garden in Munich deactivated . . . . . who the F knows why. "Public ground" in that sense is not defined by who it belongs to, it is defined by whether it is publicly accessible without going through some sort of access limitation (i.e. a gate that gets closed now and then). For example, train stations are considered public ground as they are dedicated to the public and open around the clock and for everybody, even though they belong to the private train company and are even inside. The Schlosspark Glienicke in Potsdam on the other hand has gates that, while they are not always staffed and never used to charge admission, close at night. That has been considered sufficient to exclude freedom of panorama in court. I do not know about the Englischer Garten. Does it ever close? Does it exclude some people? 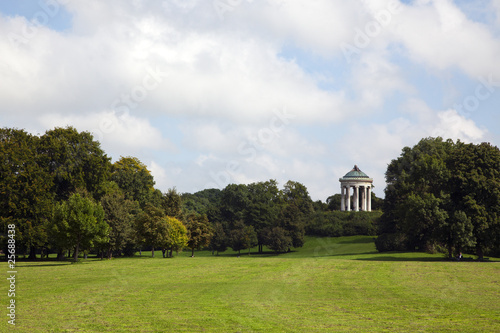 Either way, if iStock is now deactivating files from this location, chances are that they received a cease and desist letter. If that letter is legally in the right, who can say. Could it not be an honest mistake? The Englischer Garten, German for "English Garden", is a large public park in the centre of Munich, Bavaria. The whole "public park" thing can be a bit misleading. What people perceive to be a public place is often, in fact, not. For example, most of the major parks in London (e.g. Regents Park) come under the control of the Royal Parks organisation and no commercial photography (or filming) is allowed without a) prior permission and b) paying a substantial fee for a permit. Dog walkers get clobbered too - there's a £300 p/a fee if you want to walk dogs in the parks (if you are doing it for money). Out of interest Ron, did they say if you could re-submit the images as Editorial? The only deactivation I ever had offered that as an option. Regards, David. "The content is not suitable for our broad Royalty Free license; the reason given was: This content is not suitable for the Royalty Free Licensing model." Ooops, sorry Ron - muddled you up with the OP! Regards, David. A couple of small points. Some of these locations, gardens, castles, (whatever this place actually is) could have complained when they saw images of their property being sold RF. So IS went back and removed anything from the location of the complaining site. "What's Actually Legal" vs What an agency says they will allow or not, on their own site are not always the same. We can point out right to panorama, legal locations, where we are standing, public view. But if some site says, we can't upload something and they won't license it... we can't. The olympic park is also off limits according the wiki. Bad Behavior has blocked 58205 access attempts in the last 7 days.